The holidays are coming up quickly, which means it’s time to whip out holiday decorations both inside and outside the home to get in the spirit! Want to have the best looking house in all of Irvine? 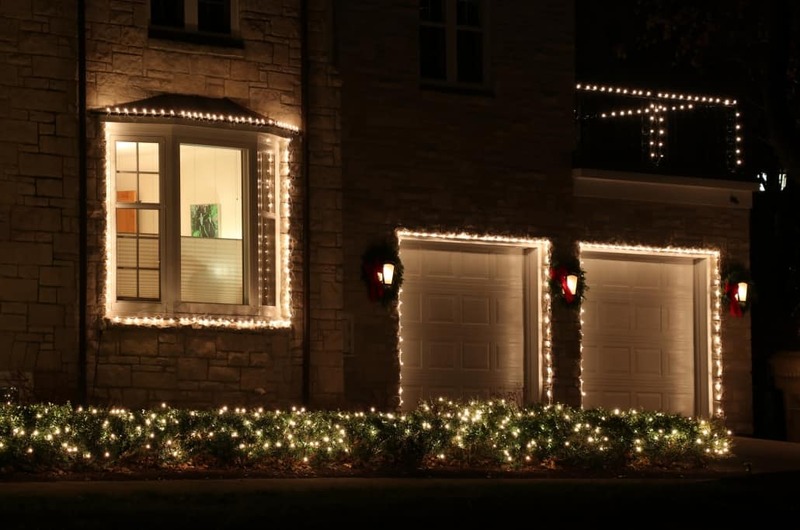 Decorate as much of your house and property as you can, including your garage door! Here are some of our favorite ways to decorate your garage door this holiday season. This home screams, “Go big or go home!” The homeowners incorporated their driveway with lighted arches leading up to adorable holiday decorations right outside the garage. If the residents of this house host a holiday party, the garage makes a perfect white backdrop for photos! 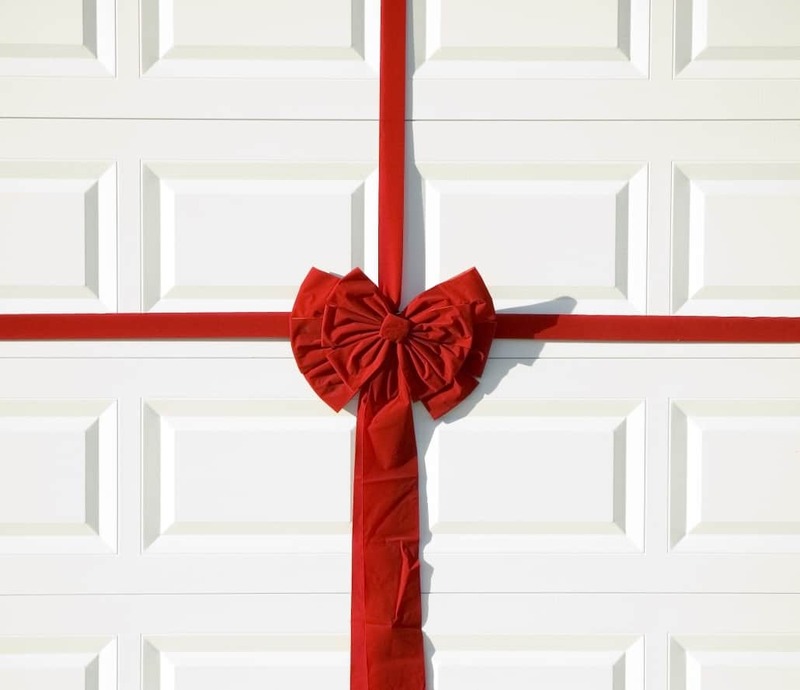 Decorating your garage door can be as simple as hanging a wreath. It’s a great way to ensure your garage looks intentionally part of the decor! If you don’t use your garage to park, or rarely open and close it, you can choose a bigger wreath. 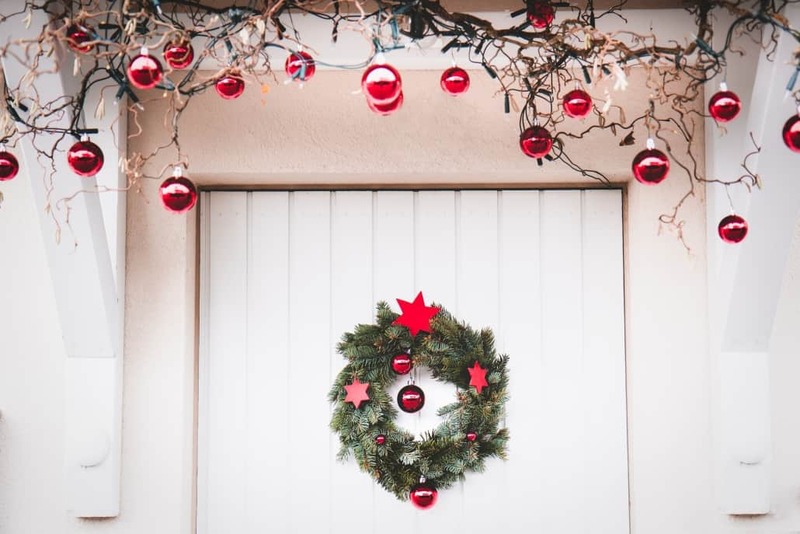 However, if you use your garage on a daily basis, opt for a small and light wreath so your garage door can still open and close without any issues. 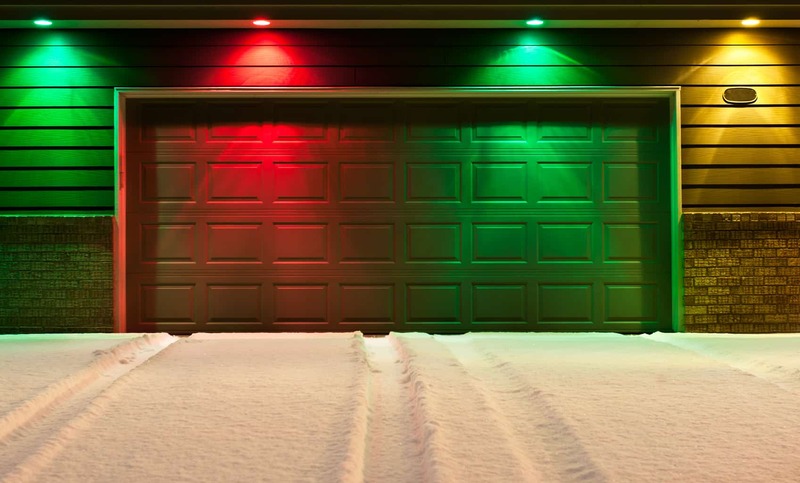 Decorating your garage is as easy as putting up red and green light bulbs or stringing lights along the garage door frame. Another great way to use lights is to use an outdoor projector that projects snowflakes, Santa Claus, or holiday-themed displays! 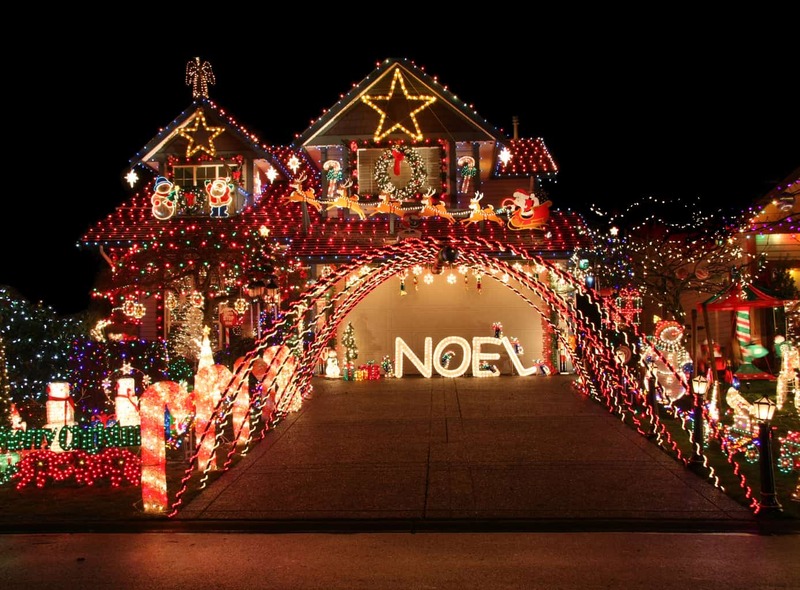 Use thick ribbons or wrapping papers to turn your garage into the biggest present in the neighborhood! You can also use wrapping or construction paper to convert the garage into a candy cane, Santa’s shop, a snowman, or whatever else the sugar plum fairies put in your head. The possibilities are endless. If you plan on opening or closing your garage door while it’s decorated, it’s important to make sure nothing on it is too thick or heavy. We recommend that decorations don’t exceed a pound or a thickness of more than ¼”. Decorations over those measurements will strain the garage door cables and springs, or damage the weather stripping of the garage. Additionally, don’t cover multiple sections with a large piece of decor, as it may get stuck when opening and closing your garage door. From our team here at All Right Garage Doors, we wish you and all of your loved ones a Happy Holiday season. We hope you have a great time decorating your garage doors and we’re here should any issues arise!